Algiers (Arabic: ?, al-Jaza’er; Algerian Arabic : ????? Dzayer, Berber: , French: ) is the capital and largest city of Algeria. According to the 1998 census, the population of the city proper was 1,519,570 and that of the urban agglomeration was 2,135,630. In 2009, the population was about 3,500,000. An estimate put the population at about 3,574,000 in 2010. Algiers is located on the Mediterranean Sea and in the north-central portion of Algeria. Sometimes nicknamed El-Behdja (??????) or alternatively Alger la Blanche ("Algiers the White") for the glistening white of its buildings as seen rising up from the sea, Algiers is situated on the west side of a bay of the Mediterranean Sea. The modern part of the city is built on the level ground by the seashore; the old part, the ancient city of the deys, climbs the steep hill behind the modern town and is crowned by the casbah or citadel, 122 metres (400 ft) above the sea. The casbah and the two quays form a triangle. As early as 1302 the islet of Penon in front of Algiers harbour had been occupied by Spaniards. 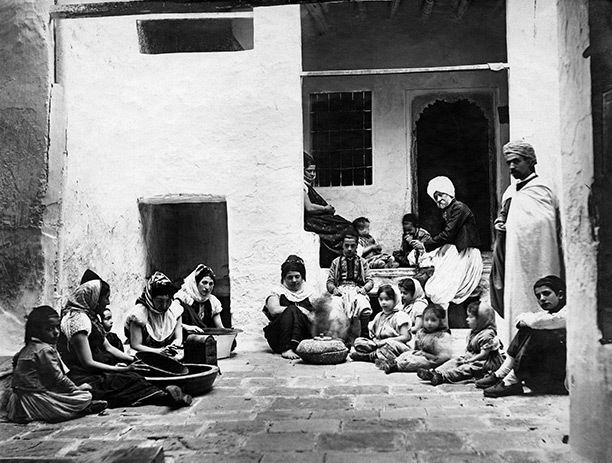 Thereafter, a considerable amount of trade began to flow between Algiers and Spain. However, Algiers continued to be of comparatively little importance until after the expulsion of the Moors from Spain, many of whom sought asylum in the city. In 1510, following their occupation of Oran and other towns on the coast of Africa, the Spaniards fortified the islet of Penon and imposed a levy intended to suppress corsair activity. The Casbah (of Al Qasbah , “the Citadel”), Ier District of Algiers: called Al-Djazair Al Mahroussa (“Well Kept Algiers”), it is founded on the ruins of old Icosium. It is a small city which, built on a hill, goes down towards the sea, divided in two: the High city and the Low city. One finds there masonries and mosques of the 17th century; Ketchaoua mosque (built in 1794 by the Dey Baba Hassan) flanked by two minarets, mosque el Djedid (built in 1660, at the time of Turkish regency) with its large finished ovoid cupola points some and its four coupolettes, mosque El Kebir (oldest of the mosques, it was built by almoravide Youssef Ibn Tachfin and rebuilt later in 1794), mosque Ali Betchnin (Rais, 1623), Dar Aziza, palate of Jenina. In the Kasbah, there are also labyrinths of lanes and houses that are very picturesque, and if one gets lost there, it is enough to go down again towards the sea to reposition oneself. Bab El Oued : Literally the Rivers Gate, the popular district which extends from the Casbah beyond "the gate of the river". It is the capitals darling and best liked borough. Famous for its square with “the three clocks” and for its “market Triplet”, it is also a district of workshops and manufacturing plants. Edge of sea : from 1840, the architects Pierre-August Guiauchain and Charles Frederic Chasseriau designed new buildings apart from the Kasbah, town hall, law courts, buildings, theatre, palace of the Governor, casino ... to form an elegant walk bordered by arcades which is today the boulevard Che Guevara (formerly the Boulevard of the Republic). 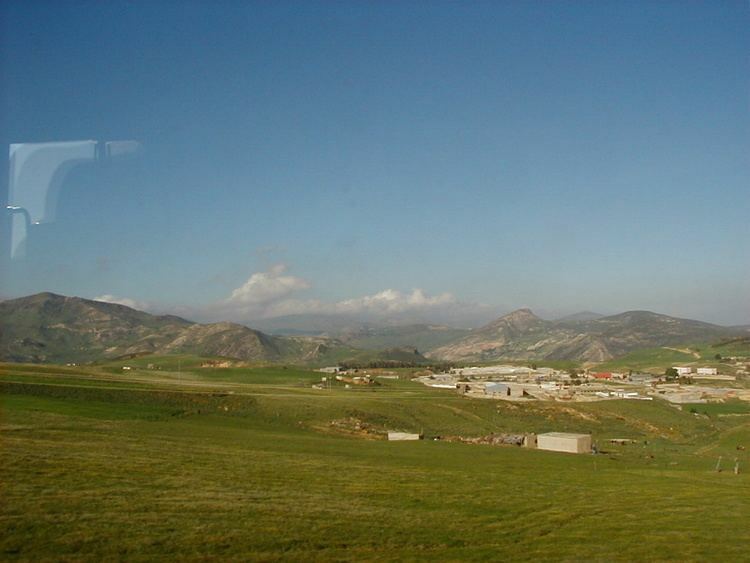 Kouba (will daira of Hussein-dey): Kouba is an old village which was absorbed by the expansion of the town of Algiers. Of village, Kouba quickly developed under the French colonial era then continued growing due to formidable demographic expansion that Algiers knew after the independence of Algeria in 1962. It is today a district of Algiers which is largely made up of houses, villas and buildings not exceeding five stories.